Personality typing tools are nothing new to the workplace. Many employers rely on them to assess the strengths of the individuals on their team, and to figure out where growth might be needed. They can also be useful in determining who should be grouped on a project to achieve the ideal level of collaboration. Perhaps you’ve taken one of these assessments: StrengthsFinder, Myers-Briggs, Winslow, True Colours, etc. I’ve been in the workforce just shy of 10 years, and I have taken all but one of those listed and a few others. The thing is, I never really saw the value. Sure, they provided some interesting insights. I thrive when I have autonomy, but I would much rather work as part of a team than alone. Communication in all forms has always come easy to me. I struggle when I feel overwhelmed with too many details. Cool. Now what? Then I discovered the Enneagram, and it changed my mind. In case you’ve heard of it and are aware of the moment it’s having in popular culture right now, don’t be alarmed–I’m not one of those people who thinks it’s the answer to all the world’s problems. 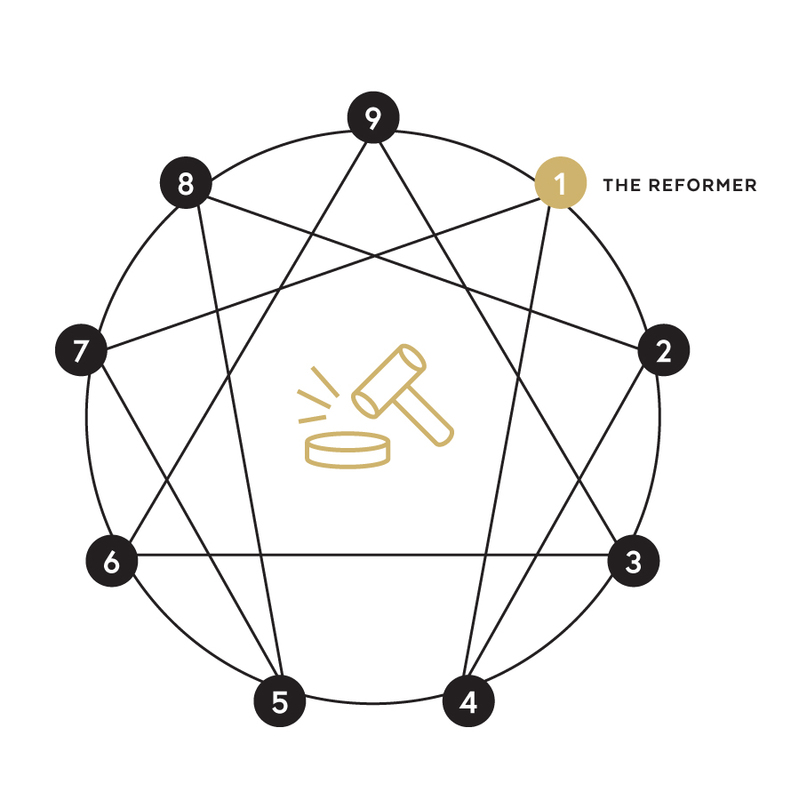 But compared to some of the other personality tools out there, I DO believe the Enneagram is more practical and easy to use, allowing colleagues to understand each other’s tendencies and speak each other’s language. 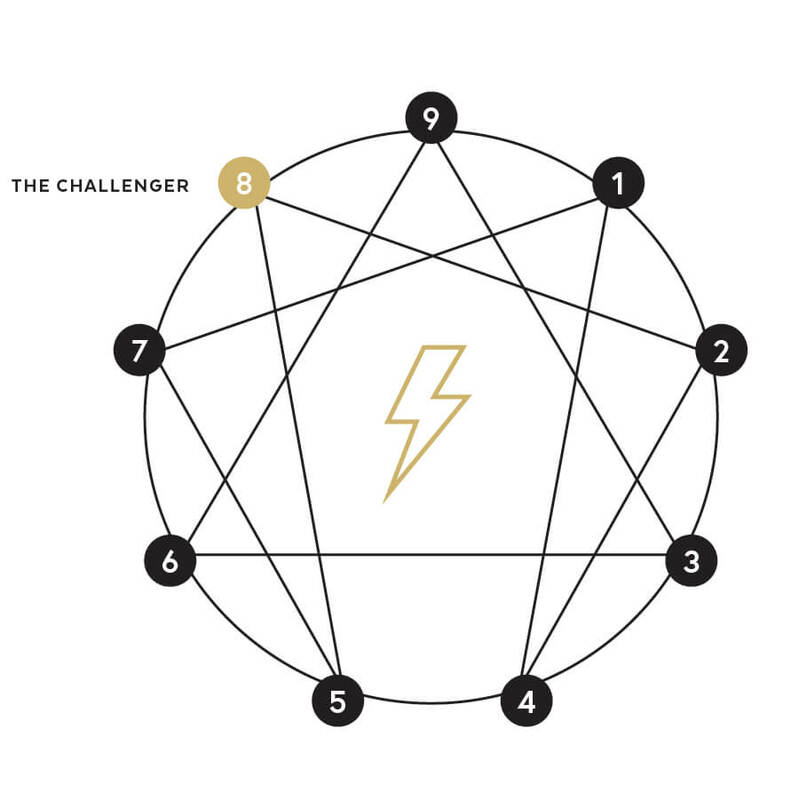 The Enneagram is a graph that lays out nine personality types. 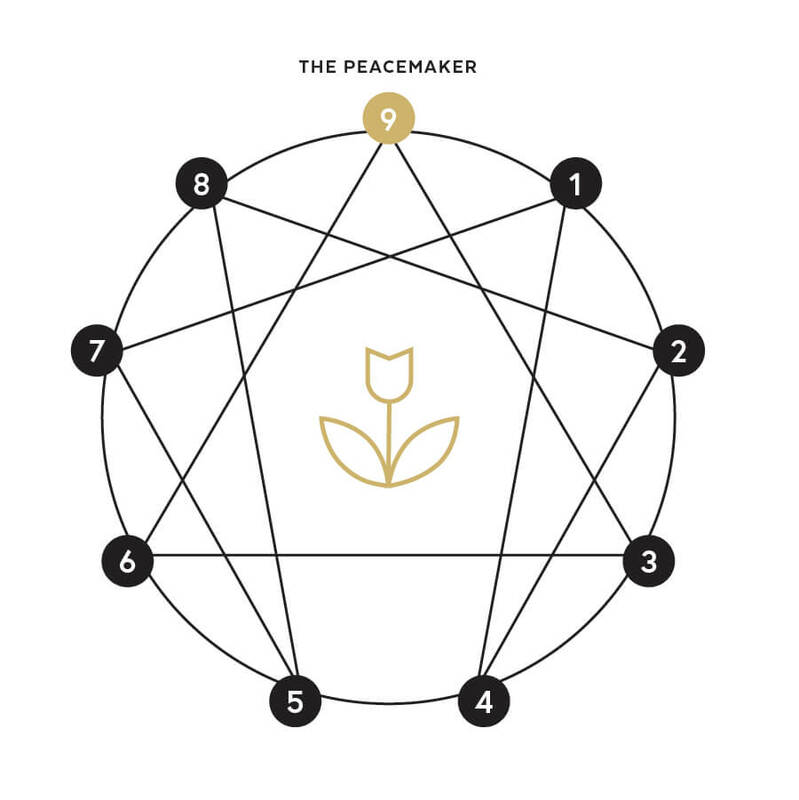 Each type, or number, on the graph has a dynamic relationship with four other numbers–the two numbers on either side of it (called wings), and the two numbers it connects to via the lines shown in the visual (known as stress and security numbers). For example, I am a Type Six (the Loyalist), so I am connected to both Five and Seven on either side (my wings), and to Three and Nine, the numbers I pull from when I need to perform (Three) or when I am feeling at peace (Nine). While your number never changes, your behavior will be influenced, sometimes heavily, by the four numbers yours is connected to. Ethical, dedicated, and reliable, Ones are motivated by a desire to live the right way, improve the world, and avoid fault and blame. They give their best, do their best, offer their best, and expect the same from others. Warm, caring, and giving, Twos are motivated by a need to be loved and needed, and to avoid acknowledging their own needs. Threes need to be (and to be seen as) successful, efficient, and effective. They have trouble reading feelings (their own and others). 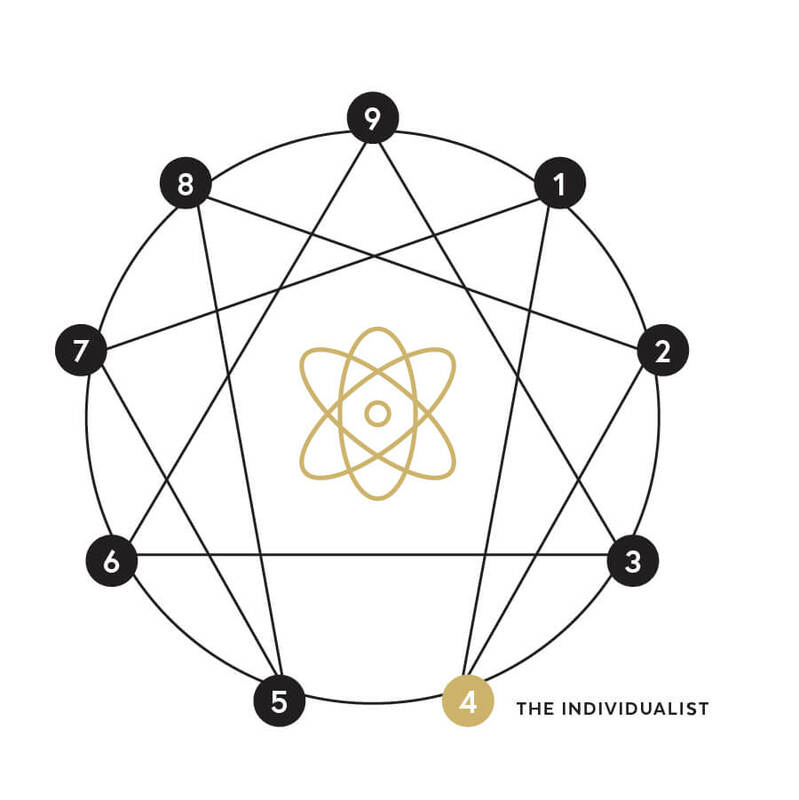 Fours are the most complex number on the Enneagram; they need to be both unique and authentic. They believe inherently that something is missing in their lives and they must find it. Fives never want to have to depend on anyone else. They are the most emotionally detached of all the numbers; they manage fear by gathering information and knowledge. Sixes are reliable, hard-working, engaging, and trustworthy. Excellent “troubleshooters,” they foresee problems and foster cooperation, but can also become defensive and anxious. Sevens delight in the best possibilities, but they need to avoid pain so they reframe all negatives to positives. Their basic desire is to have all their needs met and to feel satisfied. Eights are independent thinkers who tend to see everything in extremes: good or bad; right or wrong; friend or foe. Anger is their emotion of choice, but it doesn’t last long. They are passionate and energetic. Nines are the least complex number with the least amount of energy on the Enneagram; they keep in anything that would cause conflict and keep out anything that would steal their peace. 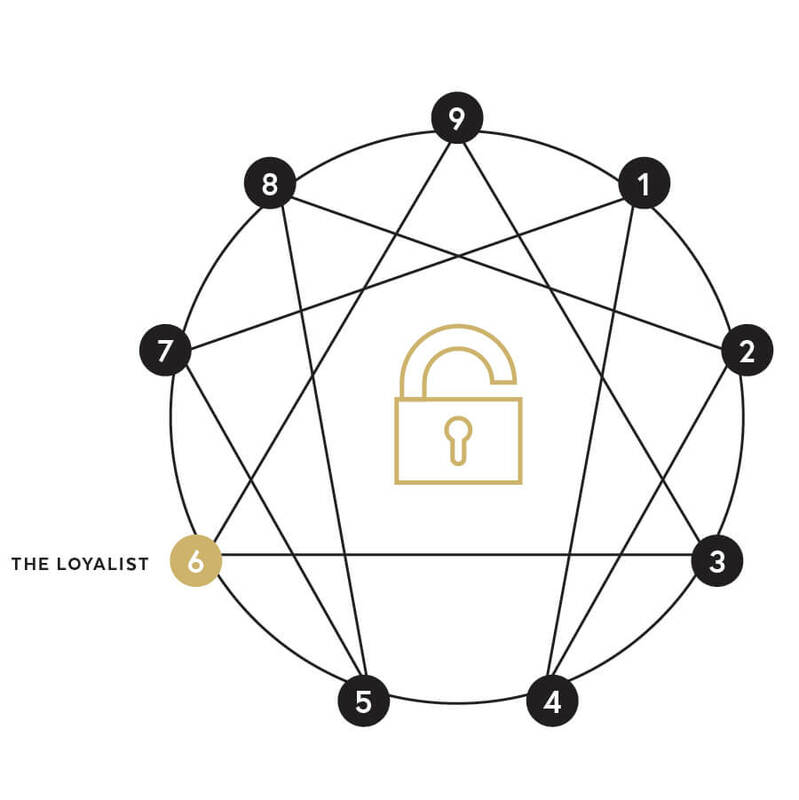 The philosophy at the heart of the Enneagram is that our biggest strength is also our biggest weakness. In my experience, nowhere is this more true than when we’re at work. Tight timelines, demanding clients, and unexpected roadblocks, to name a few, can all conspire to take our best qualities and twist them into unproductive behavior. At their best: principled, orderly, ethical, wise, discerning. At their worst: dogmatic, self-righteous, intolerant, highly critical of themselves and others. For the Ones on your team, it is important not to be overly critical and to remind them of their essential role. They criticize themselves constantly, so piling on will only make it worse. Help them to focus on what they did right, and remind them that they don’t have to take on more than their own responsibilities to ensure everything is done correctly. At their best: warm, caring, unselfish, humble, altruistic. At their worst: manipulative, self-serving, always the martyr, aggressive. It can be easy to take advantage of the Twos on your team due to their tendency to give to others at their own expense. If things are busy, check in with them to make sure they are taking time for themselves to recharge. An overworked and stressed out Two is ruled by their emotions and perceives slights where there are none, so let them know you appreciate their contribution. At their best: self-assured, energetic, task-oriented, adaptable, charming. At their worst: opportunistic, covetous, morally compromised, untrustworthy. Give Threes on your team the opportunity to shine. Put them in front of clients, because they will perform. Allow chances for them to focus their drive on helping others to succeed. But make sure you still provide constructive feedback and encouragement if and when they falter so they know they are valued for who they are, not what they do. At their best: creative, artistic, inspired, introspective, self-aware. At their worst: depressed, alienated, filled with shame and self-pity. For the Fours on your team, understand that they bring a very unique perspective to every project. Their natural tendency is to seek out the authentic and the unconventional, which depending on your industry, can be valuable. Give them creative freedom to explore. Try not to micromanage them. And if you see they are working through something emotionally, as long as they remain professional, don’t draw too much attention to it. Check in and then leave it alone. At their best: visionary, open-minded, perceptive, insightful, not easily ruffled. At their worst: reclusive, isolated, nihilistic, unstable, fearful. Understand that the Fives on your team have a limited capacity for social interaction. That is not to say they are awkward or bad socially, but that they have only so much to give in that area before they need to pull back and replenish their reserve. They are the true introverts. But you won’t find better researchers anywhere. They observe and synthesize information in a way no other number can or does, which is an asset to any company. At their best: cooperative, warm, reliable, conscientious, hard-working, self-sacrificing. At their worst: consumed by fear, panicky, volatile, reactive, negative. For the Sixes on your team, know that you will not find a more trustworthy employee. They will do what they said they would do no matter what, even at personal cost. 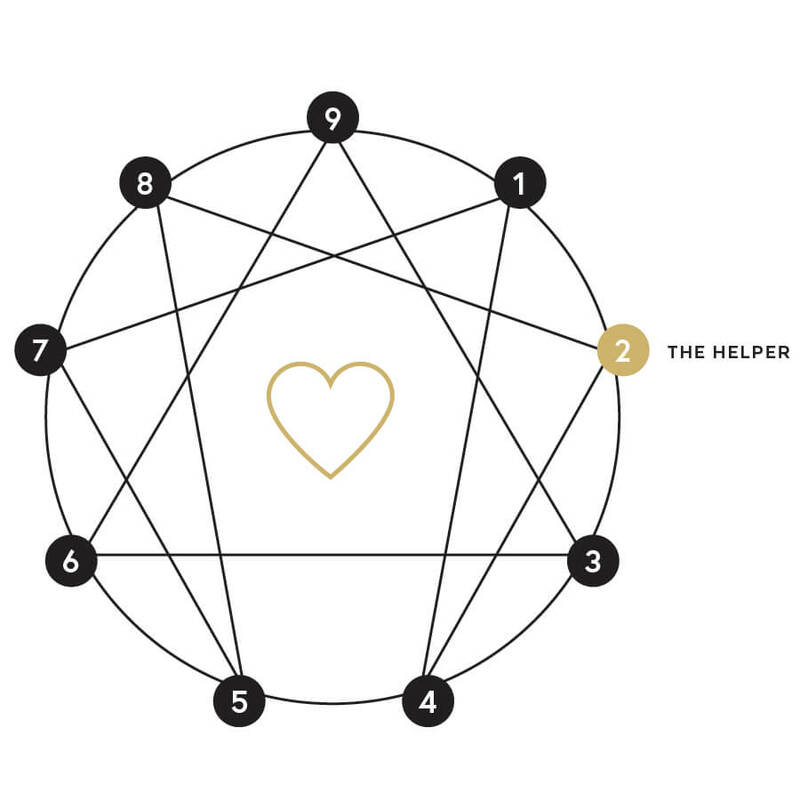 They care about everyone’s success and are the true collaborators on the Enneagram. They will be looking out for potential pitfalls or problems, and will have a plan for 10 different scenarios just in case. But they are easily overwhelmed and need help staying positive. Try not to surprise them with a last-minute deadline, and if you do, help them make their plans, and you will all succeed. At their best: excitable, extroverted, eager, spontaneous, resilient, quick. At their worst: impulsive, addictive, escapist, erratic, insensitive. Provide Sevens with opportunities to cast vision. They delight in possibilities and can be contagious in their enthusiasm for the big picture and what comes next. They are curious and bold, and they don’t sweat the small stuff. But they are easily distracted and are not detail oriented, so in general they should be in roles where they can plan big picture, but kick that plan over to someone else to execute. At their best: magnanimous, courageous, strong, passionate, protective, confident. At their worst: tyrannical, hard-hearted, reckless, aggressive, combative. Not surprisingly, you find a lot of Eights in the C-Suite. They are leaders, entrepreneurs, risk-takers. They inspire others and have a heart for the underdog. They want to leave their mark, so allow them to do that. Give them space and put them in charge. They are tough, but despite what they want you to think, they are not invincible. Respectfully remind them that though they might be the boss, they can’t do it alone. 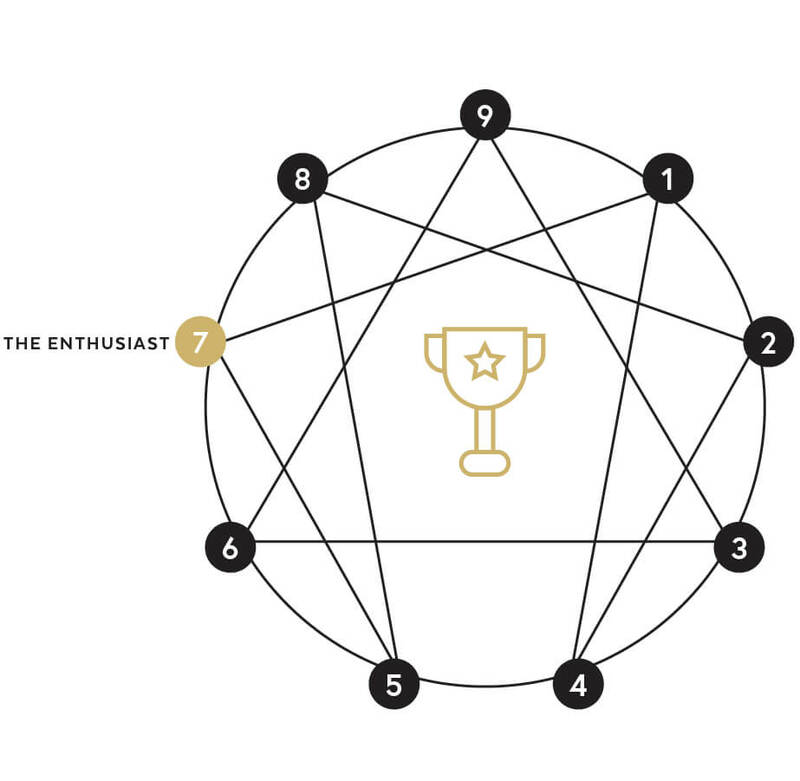 At their best: objective, fulfilled, connected, accepting, unpretentious, optimistic. At their worst: repressed, ineffectual, stubborn, resigned, numb. Nines are powerful in an unassuming way. It’s as if they have a calm that permeates the entire space. Nines are said to have elements of all the numbers inside them, so they can be very even-handed and can easily see all sides of an issue. For the Nines on your team, make sure they feel heard. Help them to stay ahead of their tasks because they are notorious procrastinators. And give them opportunities to get outside, which goes a long way to restoring their equilibrium in times of stress. I’ve been studying the Enneagram for almost a year, and I still don’t have a complete understanding. It can be complex, so I want to offer a set of guidelines and provide some recommendations if you are interested in learning more about this tool and applying that knowledge in a work setting. DO read any of the very helpful introductory books out there to discover your own type and learn more about how the types work best together (see reading list below). DON’T rely solely on an online quiz to determine your type. Quizzes assume we are being honest with ourselves, and most of us have trouble with that. DO make sure you have a full understanding of not only your own type, but of the tool’s basic tenets, before you share with your team. It can only be useful when used correctly. DON’T attempt to type others. 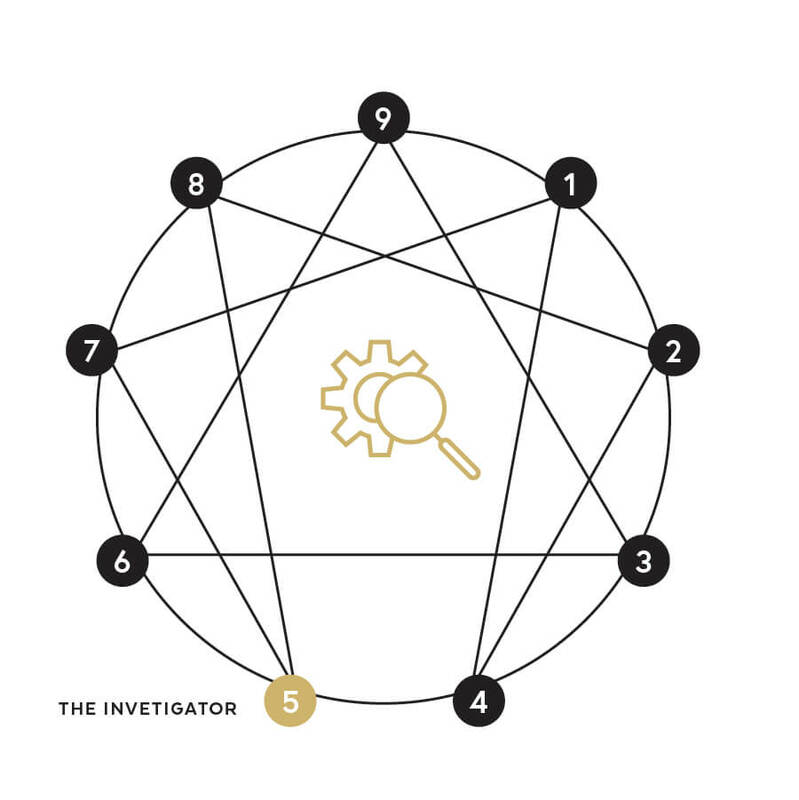 Since the Enneagram is all about an individual’s motivations, not their behaviors, it is impossible for someone on the outside looking in to really know. Once you know your number, DO be aware of the tendencies you have that are counter-productive, but DON’T judge yourself for those behaviors. We are all works in progress, and self awareness is a major step in the right direction. But DON’T use the Enneagram to excuse bad behavior. You’re not late everyday because you’re a Seven. Your co-worker shouldn’t be allowed to yell at everyone when they’re stressed because they’re an Eight. The purpose is to show us the areas where we struggle so we can be aware, and that awareness hopefully leads to change. Finally, DON’T make it too personal. This is definitely a fine line to walk with the Enneagram in application because it is personal by design, but in a workplace setting, make sure you find ways to focus discussions of type on job responsibilities and work relationships only. 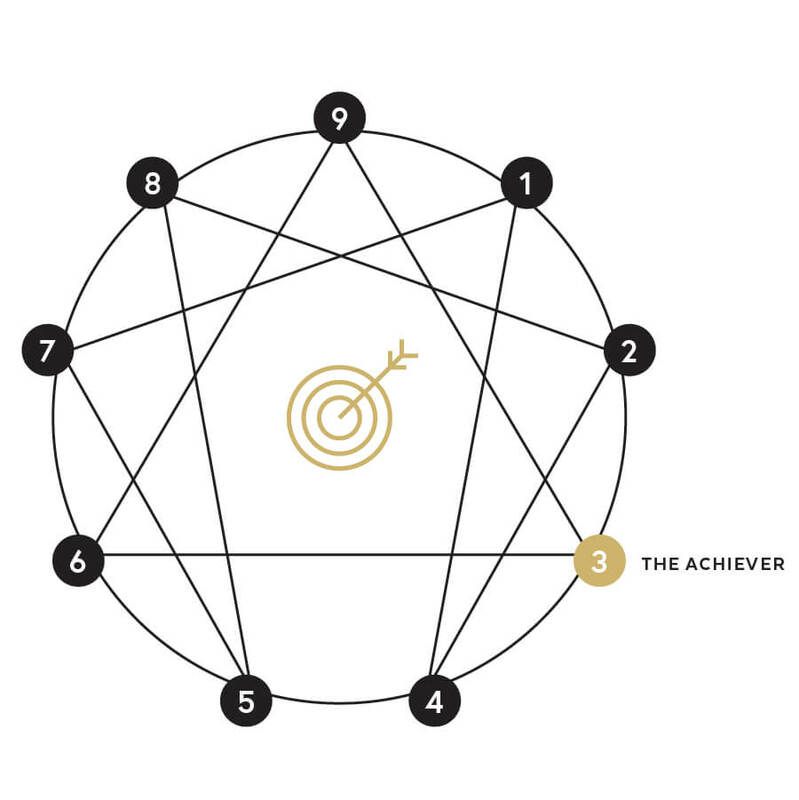 Like all tools and strategies used to help businesses thrive, the Enneagram can be remarkably helpful, but it doesn’t exist in a vacuum. It shouldn’t be your only means of self-evaluation and it shouldn’t stand alone as the only rationale for a decision. However, at Evangalist, it’s become a vital tool for understanding ourselves and each other. Especially for a small-but-growing team like ours, having a handle on who we are as individuals is key to knowing who we are as a team. Without that corporate self-awareness, a young company will have difficulty consistently making the right decisions and bringing on the right people.